I wanted to share some travel tips when traveling in the Rheingau. 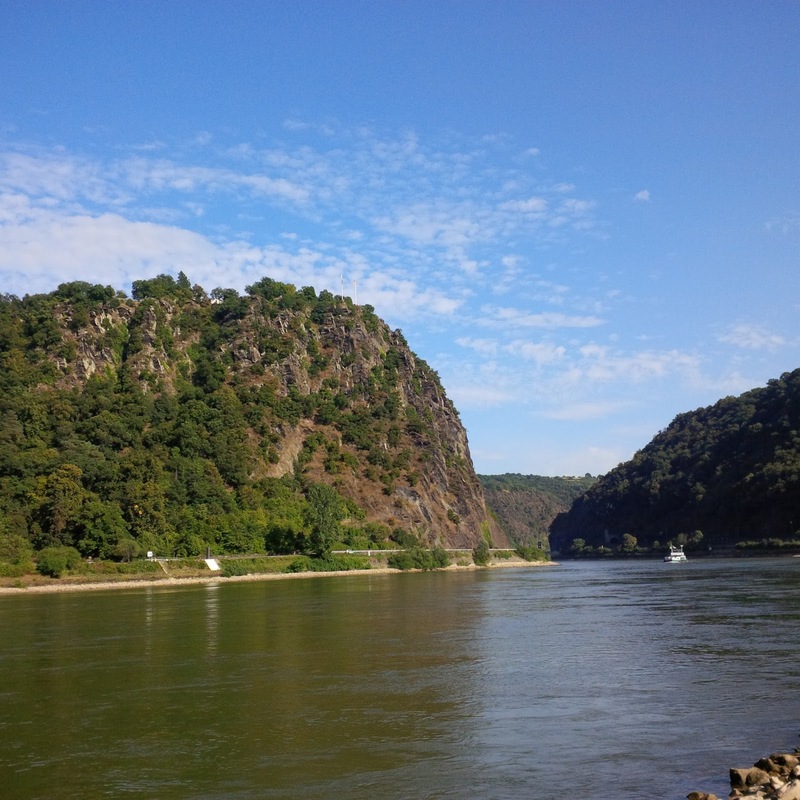 It can prove to be tricky by car, bus and train as you have to negotiate the Rhine river with no bridge access for 70km! How is this possible to have no bridge over a river for 70k!!!?? I was coming from Koblenz traveling south. Fortunately I got a tip before I left on how to get to my hotel in Bingen. You have to drive down the west side of the Rhine. If you go on the east you have to take a ferry across the river. It all worked out so I could see the Loreley Rock in St Goar. 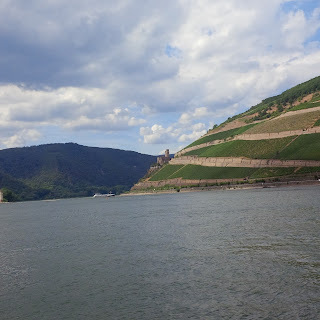 Bingen was a good home base but it's on the south side of the river and you have to take the ferry to the north side everyday to see anything on foot. It worked out very well, it's a cheap fare, but just be sure to ask about the ferry times. 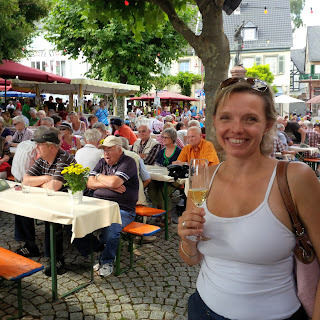 - Wine festival in a nearby town if your timing is lucky. The prices for wine are reasonable and there's cultural entertainment to go along with it. 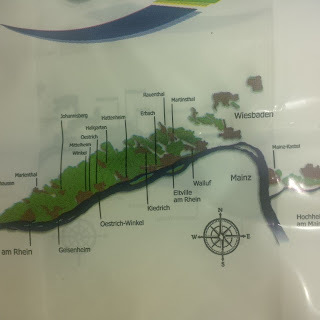 - tour Rudesheim (their winefestival is in August), take the cable car to the top of the mountain. You can hike in the forest and take a chair lift down to Assmannshausen. ....now it's time to rent a car and visit other villages. 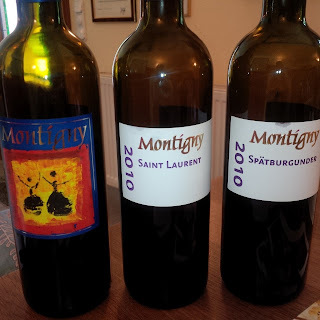 I was very fortunate that my friend Jiska was with me and had her car so we could visit Winery Montigny in the Nahe, which is south of Bingen and produces stellar red wines. I wanted to see a winery specifically making reds since reds make up a very small percentage of German viticulture. 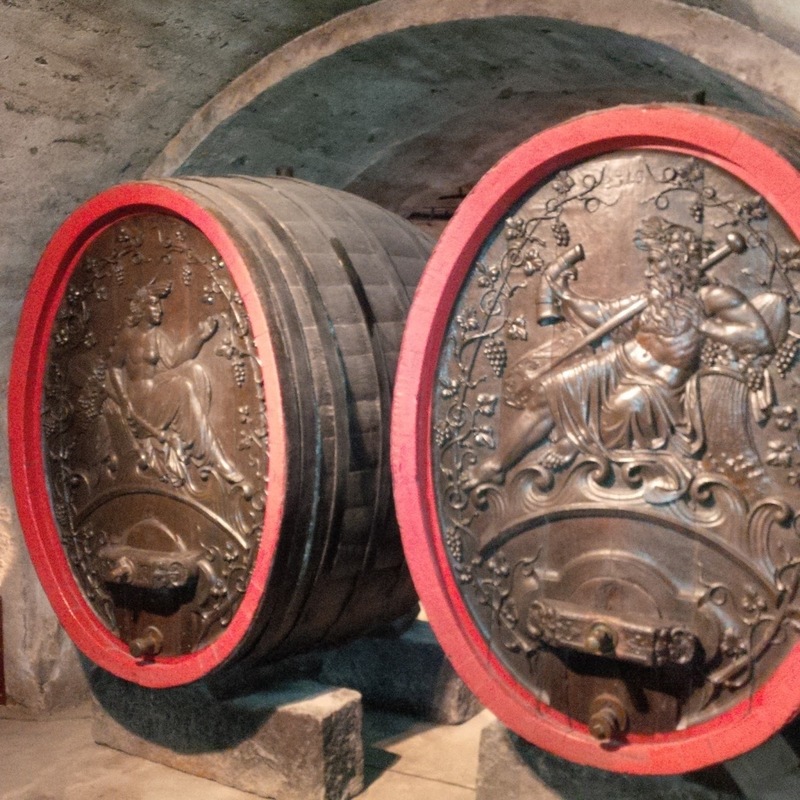 - then visit Schloss Johannisberg which is home to the oldest Riesling vineyards in the world and located exactly on the 50* latitude. 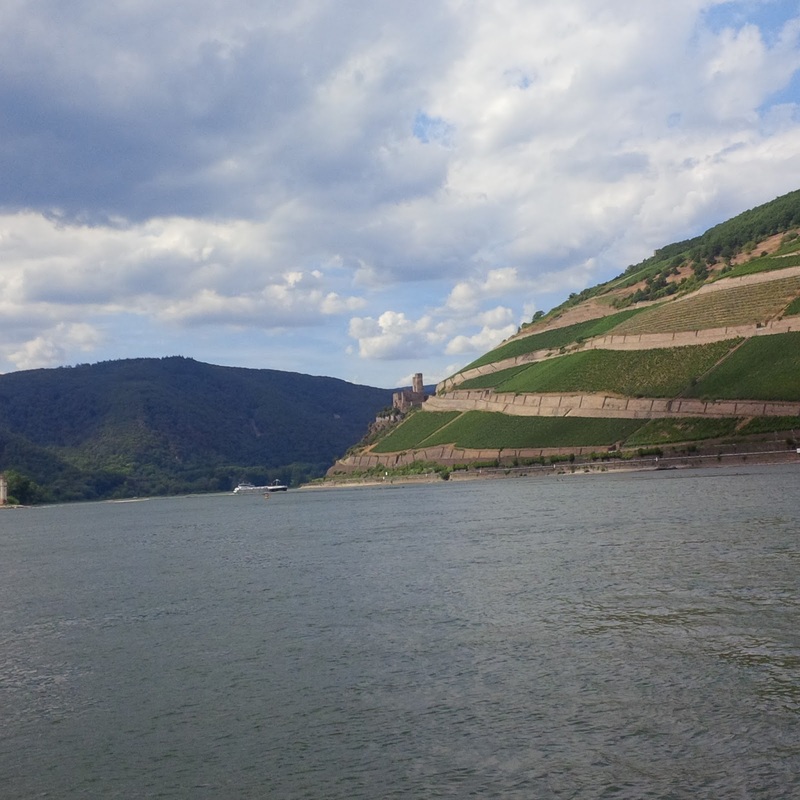 Almost impossible to grow grapes at and above 50* but they have the benefit of south facing vineyards, the river retains and reflects heat from the Rhine and the elevation and slope of the land gives the benefit of light intensity to the grapes. - drive to Weisbaden and go to Henkell for a tour! Palatial interiors that reminded me of the grand entry hall of Captain von Trapp in the Sound of Music:) Germans love their sparkling wine (known as sekt) and the largest produer in Germany. 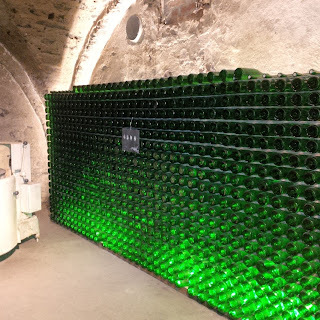 - when you are ready to get away from the villages and the highways, make a trip towards the Taunus mountains in Eberbach and spend the afternoon or the night at Kloster Eberbach. 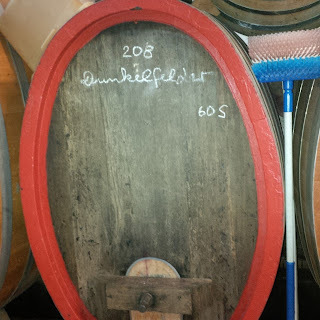 A nice Weinstube and an amazing tasting bar with a large portfolio as they are the largest still wine producer in the country! - from there head to Hochheim and visit many of the Weingut's. But check out the opening times. It's a small town and most places are closed for part of the day. Also, bring your Nordic walking sticks and you can spend and eternity walking through the vineyard paths. 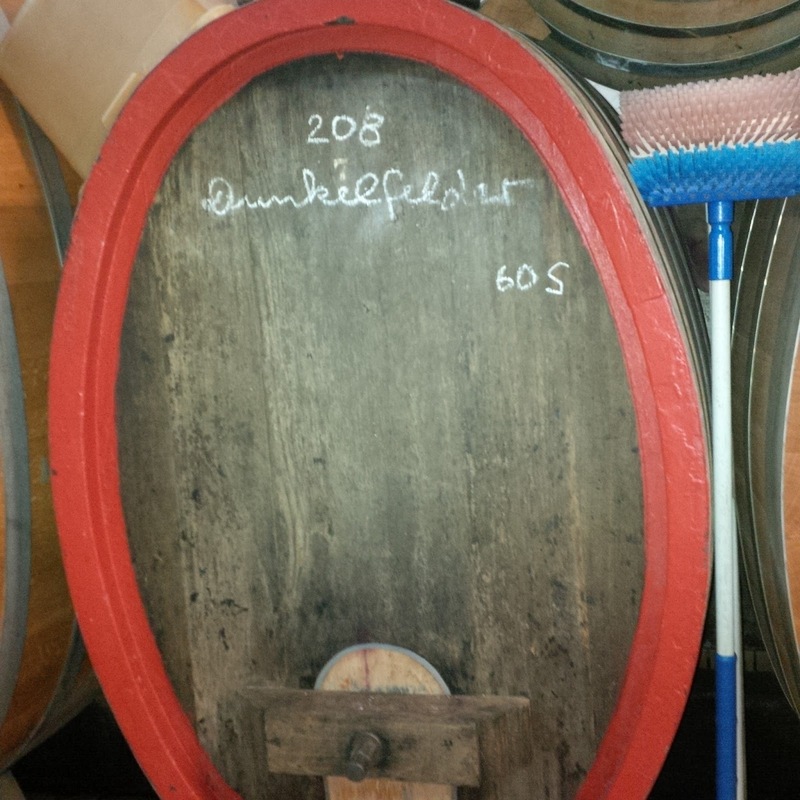 Wineries to visit are Künstler and Joachim Flick. Posted below are photos of these highlights.